My kids requested hamburgers for dinner tonight. Not just any burger…these guys know a good burger. So when we have burgers at home, which is not often, it means a James Beard burger with caramelized onions and swiss cheese. Caramelized onions on a burger…what could be better? 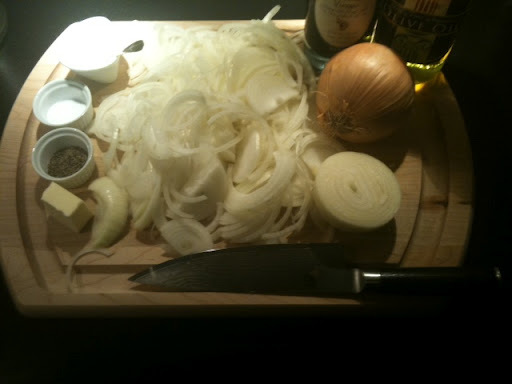 Start with 3 or 4 onions, add sea salt, freshly ground black pepper, a pinch of sugar, olive oil, butter and balsamic. Cook for about 45 minutes. This is it after about 45-50 minutes…the entire house smells divine by now. 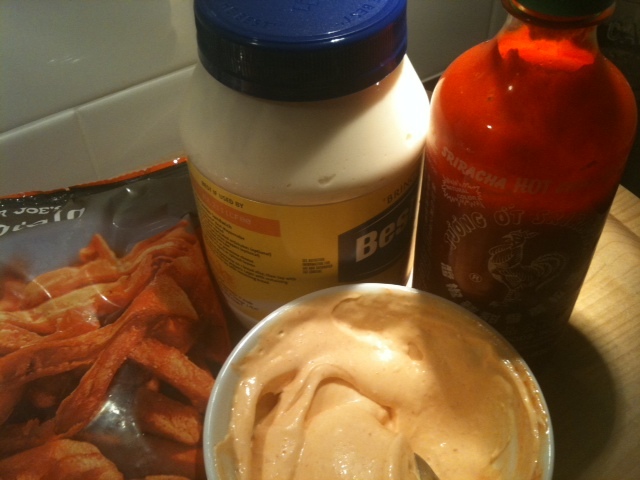 If you’re going to indulge in a burger…you may as well add the sweet potato fries and spicy mayonnaise. I can’t think of a better combination. 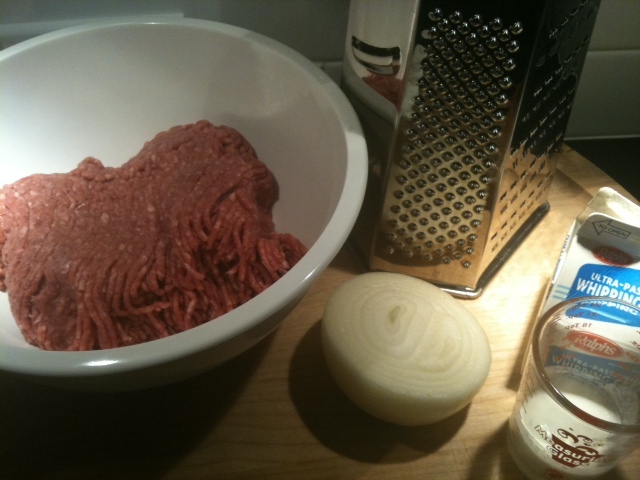 This is the James Beard way to make burgers…so good. 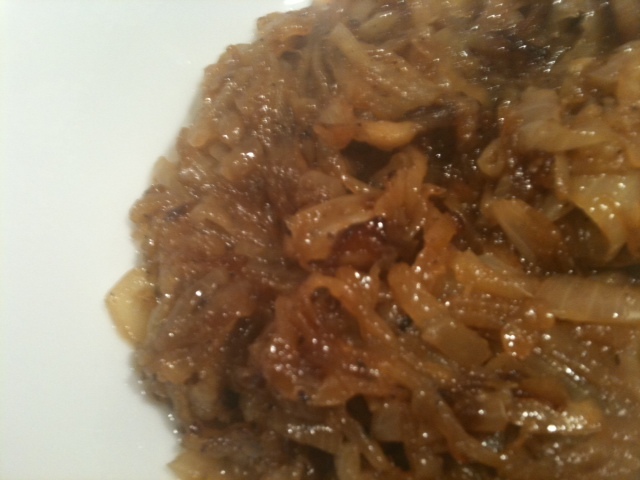 Look delicious….I love carmelized onions….these would be a tasty treat, your family are very lucky that you cook their favourite foods! mmmmm!! adopt me too! It looks delicious! I'm not usually a burger fan but I want to eat this right now!! I love the pizza post too! I'll do pizza tonight!